Here's a guide that can help newbies understand how the Wind works in GunboundM, since this is the very core feature that determines who will mostly win in PVP modes. There are other features as well that can help you increase your chances of winning like how to charge SS attacks or use Battle Items when the time is right. Good Luck! 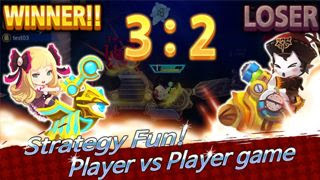 - This is where player skill comes in, so if you are newbie for this type of turn based shooting games then I would recommend that you practice using the "Battle Training" mode. - At higher Rank Challenges, missing an attack will greatly cost you so aim well. - This is the first one that you should check out first. - One simple tip is to check if its pointing to the right or left, if to the right for example, then your guide line should point to the left side or area of your target. - Refer to the steps below to learn more about this. - As stated in-game, shooting guide lines will only show you a trajectory without wind force, so estimate, then move the guide line to your preferred position. - Wind Force can be from 1 to 10+. - Wind Force can be ignored if your target is somewhat near and you just want to nuke it out using a straight line and brute force. Another one is if your target is too near and you just want to throw a very low curved shot. - So in summary, short ranged guide lines can possibly ignore Wind Force, but there is a drawback if you keep doing this. - Although shooting straight on has it's uses, especially when finishing off enemies, you should also learn how to do Sky Shots to charge your SS bars much quicker and to deal more damage when hitting the head or top part of your targets. - For practice, it is best that you choose a Mobile that can do a clean hit projectile attacks. - While in battle, if possible, I would recommend that you always move your Mobile to allow it to aim to the sky (around 90 degrees), then always pull ("hold and drag") at it's maximum power. Why? because it's easier to memorize and do adjustments by doing this way. - This is easy and most of the time, you just need to move the guide line directly to your target with some very minor adjustments, depending on the direction of the Wind. - With 1 Wind Force, you can simply adjust the guide line very close, and directly in-front or back of your target. - Take note of these adjustments ("spaces"), because it would help you for other Wind Forces as well. - Same as above, but if you are doing sky shots, you might want to do some minimal adjustments because this is also considered as long shots. - You can ignore 1 Wind Force, unless you are doing a very long ("almost horizontal") shots from a far location that ain't around 90 degrees. - Upwards will take your projectile farther, while Downwards will make it shorter. - So why 3? because it's fairly common and the adjustments for this Wind Force is crucial throughout the game. Learning 1 and 3 will make 2 much easier to understand. - This will be your basis for almost all higher Wind Forces, especially 6 and above. - Adjust the guide line near your target and try to hit, then take note of these adjustments or spaces. - Example: For my screen size and default zoom the space for my 3 Wind Force is around 1 inch when doing sky shots. - So if you are dealing with 6 Wind Force for example, just double the space. 5 Wind Force is almost similar to 6, with a little bit of adjustment, experience will help you with this. - Now this where things starts to get trickier, but one simple way that I'm doing here is to just divide 3 by 2 = 1.5 then add 1 = 2.5. - For diagonal wind directions that are almost near to the Upwards or Downwards directions, you can also divide 3 by 2 only, so that's 1.5. Meaning, the space from your target should be shorter than 3 Wind Force (based on the space from "Directly Right or Left" above) but not as close as 1 Wind Force. - Example: So, for my screen size and default zoom the space for my 3 Wind Force is around half to 1 inch when doing sky shots. - This method also applies to all higher Wind Forces, just divide it by 2 (or with +1) then adjust using all noted spaces from 1 and 3 Wind Forces above. - You can ignore the Wind Force if target is too near, and somewhere just above or below you, but not if you are doing long shots from a far or mid location. - If you are far from your target, and the Wind Force is above 2, you might want to divide it by 3 (6/3=2); or divide it by 2 twice (example: 8/2/2 = 2) then adjust. Note that this only applies if the Wind Direction is directly upwards, and you are doing sky shots with maxed pull power at around 90 degrees. - You can almost ignore all Wind Forces and aim to your target, as long that you are doing sky shots with maxed pull power at around 90 degrees. - However, if your getting a lot of misses, then try to divide the Wind Force by following the patterns above. - By using the adjustments from 1 and 3 Wind Forces above, you should now be able to accurately adjust your guide lines even at higher Winds when using sky shots. - Note that these steps are just a quick help, it can still be improved with experience. - If you are unsure how to handle high Wind Forces, go for short and non sky shot attacks, especially when dealing with tornadoes. - Also note that not all attacks follows this rule, especially for ground based skills. - Keep practicing to discover new ways on how to approach Wind Forces and it's Direction. - Shield > Machine > Animal > Shield. - Top or Bottom Spot of enemy Mobiles. - If you did it correctly, it would display "Great!". - So do sky shots or at least adjust your guide line to hit the top part of your targets. Note though that some attacks can't do this so check that too during practice. What is a Perfect Game? - If you can successfully eliminate both enemy Mobiles in 1 turn then it's Game Over, even if your opponent has an extra 3rd Mobile to use. SS Bars and SS Skills! - In order to unlock your Mobile's SS attacks, you should fill up all SS bars first (check top area with the number of your Mobiles). - A Mobile can get 1 SS charge after their turn. - Additionally, you can also increase the SS charge per turn if you can do some nice and awesome shots. The bonuses depends on how well you can satisfy the "Shot Judgement System" in-game. - Note that some Avatars have a skill that gives them a chance to recharge their SS bars before their turn. - The 3rd Mobile, will always get 2 SS bars once they enter the battle. - Aim high and land your attacks to gain fast SS charges, this is the easiest method to do. - Sky Shots' SS charge bonuses will be canceled out though if you did a "Dumb Shot". - Doesn't stack with Super Sky Shots bonuses. 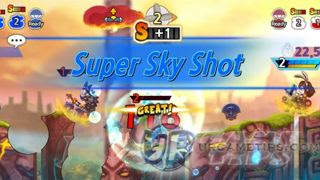 - Perform a successful Sky Shot or Super Sky Shot while Wind Force is 10 or higher! - Drop the enemy mobile by hitting underneath it, or using skills that can blast a wide chunk of land below your target. - Using the Bungee Shot battle item can also help you with this. - Let your attacks ride through the tornado and land it successfully to your target. - Hitting 2 Mobiles at once will net you an easy SS charge. - This is pretty easy for "Lightning" for example. - This is kinda hard to do because first you need to get really close to your opponent (easy with your 3rd Mobile's location drop), then take a shot without hitting any of your Mobiles. - The safest method is do Sky Shots using a clean projectile single target attack. - In order to successfully land a damage through those shields, you need to use multi hit skills with a little gap between attacks, or use battle items like Dual or Dual+ together with your skills. - This one only requires at least 10 damage. 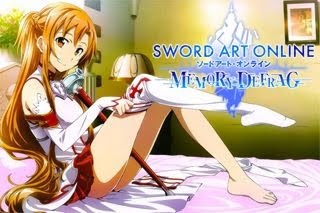 - Damage must at least 350, then it will get updated as the battle goes. - Mobiles that dropped to the bottom due to Bungee Shots will count their remaining Health as damage. - Sadly, you won't be able to get any SS charge by doing this. - This happens if you were only able to damage your own Mobiles alone...so avoid if not necessary.